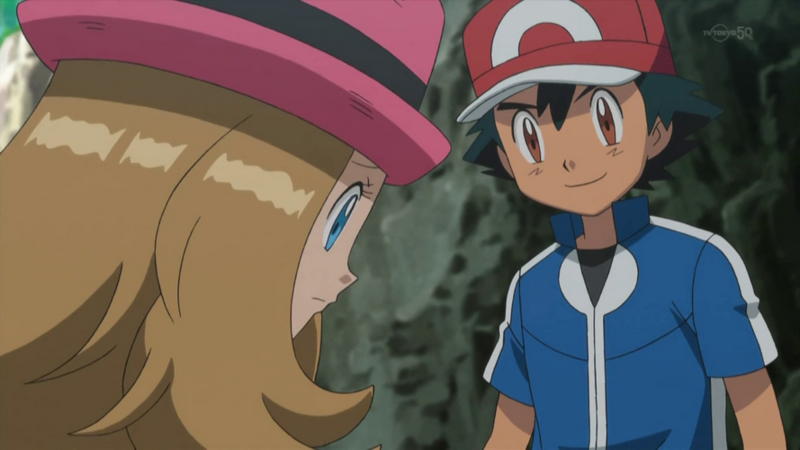 Ash is extremely stubborn and brave: these are the two features that distinguish him more than any other. When he sticks to do something or to achieve a certain goal, nothing and nobody can stop him, also because, thanks to his courage, he manages to overcome every type of fear, especially when he has to help someone who is in trouble or in danger. All these characteristics lead him to always be sunny and positive, so much that he becomes able to infuse bravery, confidence, and joy to those around him. This also because Ash, thanks to his empathy, has the extraordinary gift of always finding the right words to say and cheer up those who feel sad or discouraged. Actually, in his group of friends, he always covers the role of “psychologist” and encourager: every time someone has a problem, he immediately notices, as a sorts of a sixth sense. Then, without a second thought, he sits next to them and after asking what’s wrong, he helps them find a solution. Ash often uses the word “Daijobu!” which traslates to: “everything is OK!”, even if he’s the one to get hurt, so as not to worry those who are beside him, smiling and saying everything’s all right, even if it isn’t true. Ash has super strong feelings, and thanks to this extraordinary characteristic, nothing can scare him, as stated in the books written by Takeshi Shudo (the creator of the Anime): even the absence of his father couldn’t shock him (which made Delia feel really relieved). 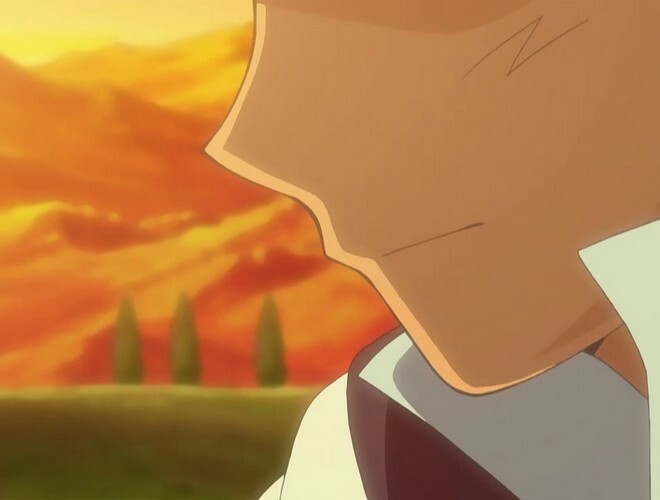 Shudo also explains that probably Ash’s Character now would be different if he had known his father. Obviously, like everyone, Ash has got problems and insecurities. 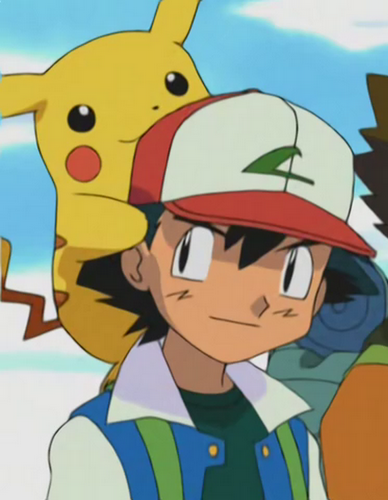 This was both revealed in some verses of the Japanese theme song (“[…] I smile, but with some tears […]“, or “[…] Even though I have memories of a few painful things I don’t even notice them, as if they fell from a hole in my backpack […]“) and by Ash himself on some occasions in the episodes. However Ash, in order not to worry the people who travels with him, doesn’t manifest his worries and always keeps smiling. 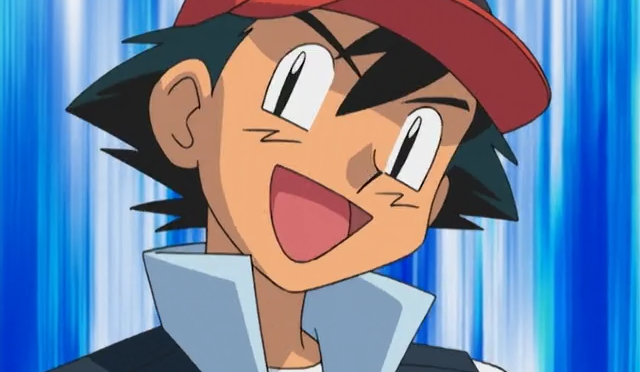 For example, Ash hates loneliness, presumably because he spent his childhood playing on his own. When he is alone, in fact, he tends to sadden. 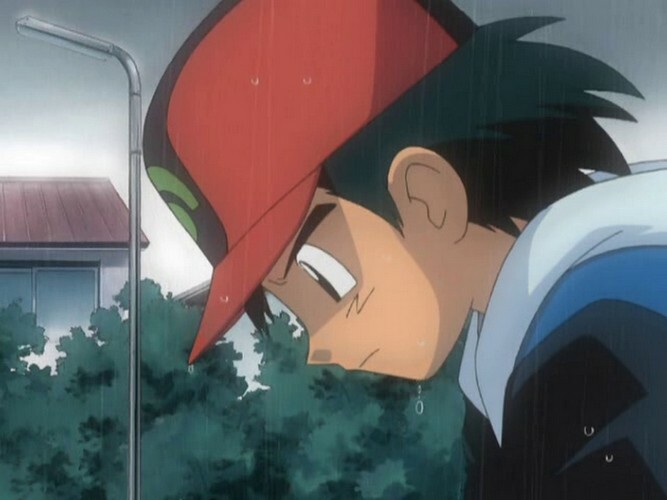 It happened a few times that Ash got heavily demotivated as a result of bad defeats. The first time was when he lost the battle of the Indigo league. It was his first time there and he was so disappointed he hid in his room, not wanting to eat anything. As always, fortunately, these bad moments don’t last long thanks to the support of his friends. The second time was in the episode: “Evolving strategies!” of the DP Galactic Battles series, when he got heavily defeated by Paul in the battle organized by Reggie. Though he wouldn’t admit it, Ash was slightly intimidated by Paul. 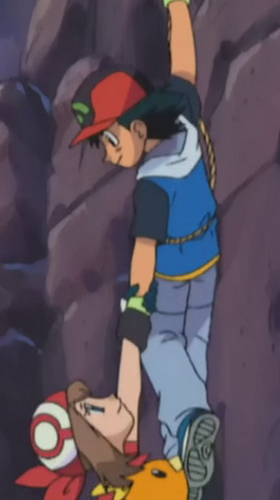 In fact, every time Ash battled against him or in his presence, he lost his head, ending up being defeated. 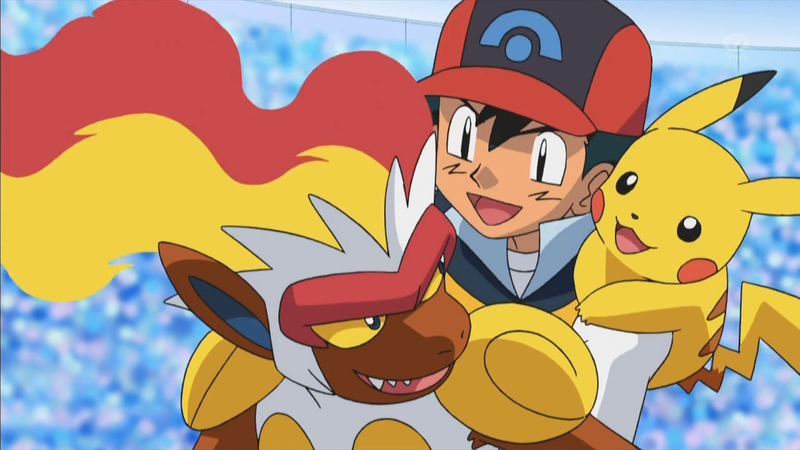 This time Ash was very confident in defeating Paul in that battle at Lake Acuity and prove him that Pokémons can become even stronger if you treat them with kindness. Ash couldn’t focus properly on the battle and he suffered a devastating defeat 4 – 0 , that demotivated him to the point of closing himsels off. 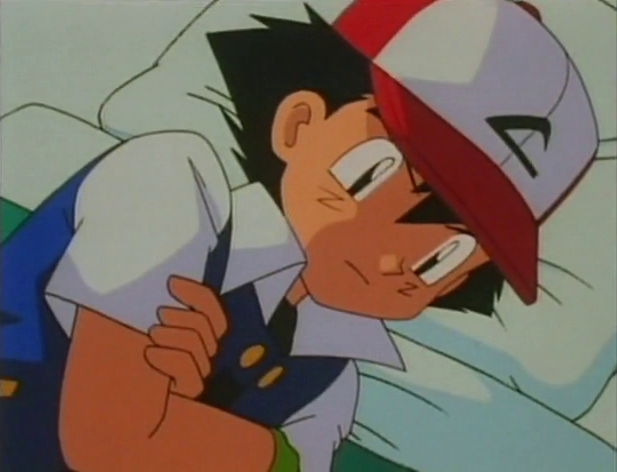 Ash’s mood has been accentuated by the frames in which Ash’s eyes are not shown during the whole final of the episode. 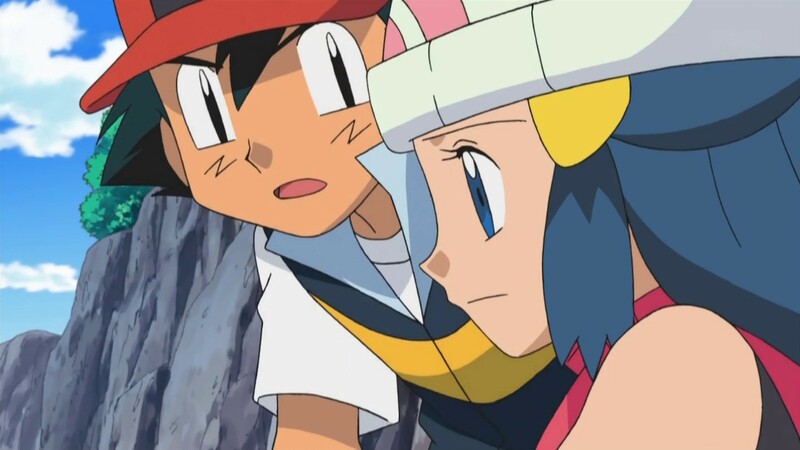 Obviously Ash has recovered his usual cheerful mood, even if (in the rest of the DP series), he tended to be concerned or saddened every time someone mentioned Paul, until the episode in which Ash defeats him. 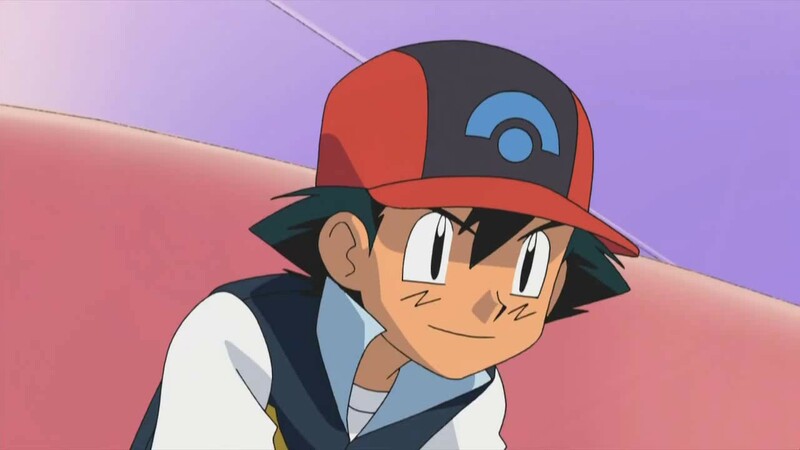 Although Ash is extremely brave and often proves to be very severe in his role as a trainer, he normally has a kind, gentle and caring personality. 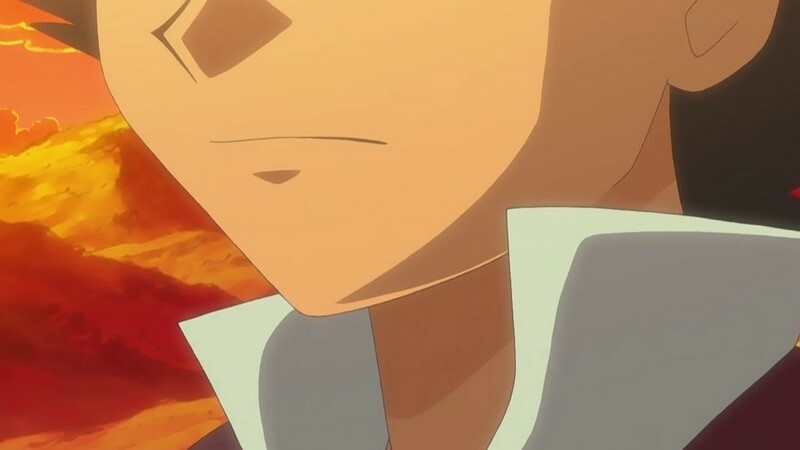 These are features that are not often seen in boys, and this makes him even more special on a humane level to such an extent that his fans have considered him much more than the simple character of an animated series. This side of Ash’s character comes out even in his work with his Pokémons. In his opinion, the Pokémon team must be a big family and he says it constantly, creating an atmosphere of happiness and solidarity. 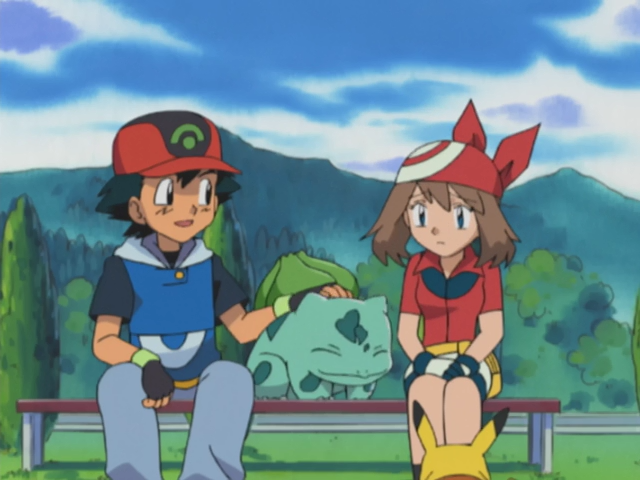 This method has found application during Chimchar’s training: a very shy and insecure Pokémon, who couldn’t do its best because of Paul’s intimidating and rigid nature, but once it joined Ash’s team , who always praised and reassured it, the little Pokémon, thanks to the love of his trainer, became increasingly stronger. It evolved into Monferno, then into Infernape, and then, in his final battle, it managed to defeat the one who frightened and scared it the most. Pocket Monsters: the animation - the secrets of Pokémon anime!